Via Marsala, in Rome, runs along the north side of Termini station and leads to the San Lorenzo district. The road is particularly known for the numerous hotels that are here, from budget, two and three star, to ones a bit more luxury. 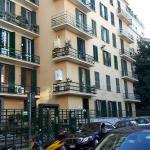 The hotels, hostels, and B&Bs are also found in nearby streets, Via dei Mille, Via Varese, Via Milazzo, always near the station. 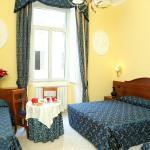 Marsala is the ideal area for travelers on a budget, students and young tourists. Select travel dates and find all available hotels in Rome - Termini Marsala, check out guests reviews and locate properties on Rome city maps, book your favourite accommodation with no pre-payment. All rates are in Euros and inclusive of all taxes. 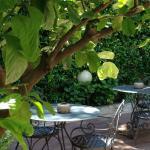 WRH Termini is the perfect lodging for your budget stay in Rome. At walking distance to Termini Railway Station, well connected to Rome city centre, WRH Termini has 6 cosy rooms equipped with every modern comfort. 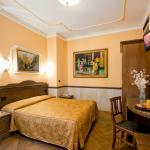 Located right next to Roma Termini Train Station, Viennese is 2 metro stops from the Coliseum and Trevi Fountain. 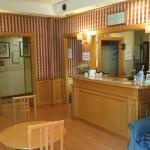 It offers modern air-conditioned rooms with free Wi-Fi and 42" LCD TVs.